Hatteras and Ocracoke islands have had no fireworks displays the past two years, but that may change for this year as the local community, businesses, organizations and Park Service work together to take the necessary steps toward hosting a fireworks display in Avon village for 2012. The reason for no displays the past two year is that, on July, 4, 2009, four pyrotechnics workers died due to a terrible explosion on Ocracoke Island when the crew was near the ferry docks in Ocracoke village unloading fireworks for the display. As a result, ew restrictions were put in place that made it very complicated and costly to continue with the fireworks displays. Due to massive support from local officials, businesses and individuals, the Cape Hatteras National Park Service has agreed to allow a permit for the launching of fireworks off Avon Pier. 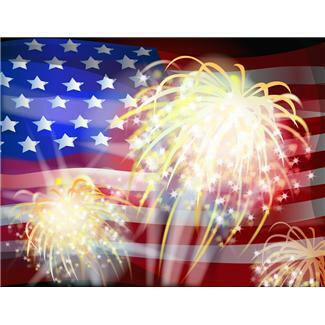 Launching fireworks from the beach is illegal, however, concessions will be made for the Fourth of July as the Avon Pier is privately owned, and the fireworks will be launched into the ocean, past the mean low-water mark, and ergo outside of the Cape Hatteras National Seashore boundary. While there will still be permits that need to be issued, this approval basically paves the way for the annual fireworks display to proceed. The biggest hurdle to the annual display has been cleared, but there is still a lot of work to do. Pyrotechnico, a pyrotechnics company from Pennsylvania, will be coming to Hatteras Island for a community meeting on March 15 to meet with the council and anyone who wants to be involved. Fundraising efforts will continue on Hatteras and Ocracoke islands to provide the necessary financial support. So far, for 2012, Avon will be hosting the only professional display. We are very excited to share this news with our vacation guests and will keep you informed of any additional information as we receive it so that you can plan for your Hatteras Island vacation! Donations for the display can be sent to APOA, PO Box 9, Avon, NC 27915. Checks can also be dropped off (with attn: Norm Campbell) at any of the islands’ East Carolina Bank locations.